Under the auspices of the Healthy Fats Coalition and coinciding with the arrival of spring, March 21 marks the second annual #NationalHealthyFatsDay, a celebration of traditional healthy animal fats – pure lard, beef tallow, duck fat, goose fat and the like – that are enjoying a resurgence within America’s food culture, in restaurants, fast food operations and home kitchens. National Healthy Fats Day is the brainchild of the HFC, a group of like-minded organizations, companies and individuals that have developed a new educational initiative dedicated to the proposition that healthy fats aren’t merely having a moment – they’re here to stay, as an essential part of the American diet. Its mission is simple: affirm that animal fats deserve a central place in the American diet and in the popular imagination. According to the HFC, artificial trans fats are out, and minimally processed animal fats -- for superior baking, frying and a host of other cooking applications – are most decidedly back. The color, texture and flavor that healthy animal fats impart make them a vastly superior alternative to heavily processed, industrially produced substitutes, the organization notes. “People seeking health today often condemn certain food groups — such as grains, dairy foods, meat, salt, fat, sauces, sweets and nightshade vegetables — but [our] Wise Traditions Diet is inclusive, not exclusive,” says the Weston A. Price Foundation, a leading source for accurate information on nutrition and health, which consistently aims t0 provide scientific validation of traditional foodways. Under the auspices of the Healthy Fats Coalition and ideally timed for the holidays, Dec. 8 marks the first annual #National Lard Day, a celebration of pure lard, a traditional, authentic animal fat that is now enjoying a resurgence within America’s food culture, in restaurants, fast food operations and home kitchens. #NationalLardDay is the brainchild of the HFC, a group of like-minded organizations, companies and individuals that have developed an educational initiative dedicated to the proposition that healthy fats aren’t merely having a moment – they’re here to stay, as an essential part of the American diet. The HFC’s mission is simple: affirm that animal fats deserve a central place in kitchen, on the table and in the popular imagination. For the HFC, National Lard Day caps a year of “healthy fats” appreciation, which kicked off with #NationalHealthyFatsDay on March 21. The Coalition also promotes #National BeefTallowDay, July 13 (which coincides with National French Fry Day). The HFC’s message for each day: mark the occasion by tasting the difference yourself. #National LardDay occurs just ahead of National Pastry Day, Dec. 9. Welcoming to its ranks a trio of ghee suppliers, the world’s only duck fat spray company, a leading provider of goose products and EPIC Provisions, among others, the Healthy Fats Coalition today announced its latest group of supporters. The HFC is a new educational initiative dedicated to embracing healthy fats as an essential part of a balanced diet. With today’s announcement of seven additions to its roster, the HFC is now 26 strong. Adapt Your Life - Co-founded by Dr. Eric Westman, Adapt Your Life is committed to making innovative low carb products with no added sugars accessible, to help more people realize the benefits of a low carb diet so they can live healthier, happier lives. It’s time to ADAPT! Duck Fat Cooking Oil Spray - Duck Fat makes good food better. Cornhusker Kitchen's cooking oil is the world’s only duck fat spray. EPIC Provisions makes healthy food that incorporates consciously-sourced animal products. The company’s mission is to alter global food industry practices through better quality, sourcing, and transparency of the foods it produces. Along with creating delicious products that incorporate as much of each animal used as possible, EPIC's products help employ agricultural practices that improve the lives of animals, support human health, and regenerate the land around us. Fourth & Heart, an artisanal food brand based in Los Angeles, is on a mission to modernize your pantry. Fourth & Heart is known as the disruptors in the category for creating the first-ever sprays, pours and single servings with butter fat. The company’s first-of-its-kind salted and flavored ghees make cooking and using ghee a breeze! Check them out for more fun innovations on http://www.fourthandheart.com. Gold Nugget Ghee is committed to bringing people the highest quality ghee available on the market. The company sources butter from small farms in Northern California, which provide a unique rainforest ecosystem that enables cows to graze happily on green grass all year long. Pure Indian Foods - A 5th-generation gheemaker since 1889, Pure Indian Foods provides grassfed 100 percent organic ghee, handmade in New Jersey. Schiltz Foods - Family-owned, Schiltz Foods is the largest producer of goose and goose products in North America and a leading provider of delectable capon. Coast Packing Company, the leading supplier of animal fat shortenings in the Western U.S., took the lead in organizing the HFC. “Minimally processed animal fats belong in the kitchen, at restaurants and at home,” said Ernie Miller, Coast Packing’s Corporate Chef. “The HFC recognizes that the entire discussion around food, nutrition, healthy eating and balanced diets is confusing at best -- at times, the zigs and zags over what to eat and not eat can seem overwhelming – which is why education is so crucial. “ To help fulfill the campaign’s mission to inform, the HFC website includes a Resources page – a one-stop repository of the latest books, research studies, videos, news articles, public and trade events. HFC is not a trade organization or in the business of promoting individual products or brands. Although commercial interests are welcome to participate in the campaign, the HFC is not itself a commercial organization. Support of the HFC involves no cost or obligation among participants. The Healthy Fats Coalition asks only that supporters post the HFC badge on their websites and various social media channels, and add their voices and ideas to the ongoing conversation. Coinciding with #NationalFrenchFryDay, the Healthy Fats Coalition has proclaimed July 13 the first annual #NationalBeefTallowDay -- a celebration of beef fat, an authentic, traditional ingredient that brings out the very best in food. Like pure lard, duck fat, goose fat and other animal fats, beef tallow is now enjoying a resurgence within America’s food culture, in restaurants and fast food operations. Under the auspices of the Healthy Fats Coalition and coinciding with the arrival of spring, March 21 will mark the first annual National Healthy Fats Day, a celebration of traditional healthy animal fats – pure lard, beef tallow, duck fat, goose fat and the like – that are now enjoying a resurgence within America’s food culture, in restaurants, fast food operations and home kitchens. To drive that point home, Chef Miller will lead an educational session, “A Brief History of Fat,” on Monday, March 19, at Chef Connect: Newport Beach, a project of the American Culinary Federation (ACF). For those in Southern California seeking more information, email admin@edgecommunicationsinc.com. For more information on National Healthy Fats Day, email info@healthyfatscoalition.org. Opening its umbrella to cover an eclectic new group of supporting organizations, the Healthy Fats Coalition today welcomed to its ranks a chef, a pig farmer, a doctor, a camel milk producer and a holistic nutritionist, among others. The HFC is a new educational initiative dedicated embracing healthy fats as an essential part of a balanced diet. Amy Berger, MS, CNS, NTP - Founder of Tuit Nutrition and author of The Alzheimer's Antidote. After years spent doing “all the right things” to lose weight and maintain optimal health but failing to experience the expected results, Berger discovered through her research that much of what we currently believe about “healthy diets” is simply incorrect. Having learned the hard way, she has dedicated her career to showing others that vibrant health does not require starvation, deprivation, or living at the gym: “Men and women cannot live by lettuce alone. Real people need real food!” Berger has a master’s degree in Human Nutrition and is a certified Nutritional Therapy Practitioner. Torie Borrelli, founder of The Vida Well, a wellness brand rooted in holistic nutrition and wholesome living. An Integrative Holistic Nutritionist natural chef, Borrelli draws on her heritage with Mexican and Italian cuisine. She works alongside naturopaths, chiropractors and doctors around the world and is committed to educating and inspiring her clients through one-on-one consultations, health assessments, food education and personalized programs that help combat leading chronic diseases. She is currently working on the first Mexican Anti-Inflammatory Cookbook focusing on high-fat foods. Cassy Burnside, founder, FATCO, a paleo-friendly brand that uses tallow (beef fat) to craft simple, deeply nourishing personal care products (“Real food for your skin.”). Based in Lake Tahoe, FATCO is handcrafted using healthy fats to nourish the skin. Jenni Calihan, founder of Eat the Butter, a nonprofit dedicated to encouraging mothers to buy whole, full-fat food for their families and engage in what Calihan calls “vintage eating.” She reaches out to mothers through Twitter, Facebook and her blog, and also through speaking (see TEDx, “Take Back Your Plate”). She believes real-food-more-fat eating is our best defense against chronic disease, and is committed to building a grassroots movement. Brittany & Andre Hogan, founders of Nefertem Naturals, leaders in grass fed tallow skincare. Their proprietary formulas have discovered the secret to infusing the power of nature into daily routine. By combining organic plant oils and tallow from grass fed cattle, this artisan skincare company provides a unique touch to personal skincare products. Lisa Howard of The Cultured Cook, author of two cookbooks -- The Big Book of Healthy Cooking Oils and Healthier Gluten-Free – and a regular contributor to magazines like Allrecipes and Eating Well. Her dishes are based on three principles: health, affordability and flair. A big part of that three-pronged focus means choosing whole grains and natural sweeteners over their refined counterparts. Alphonsus (Alfie) McCaffrey, proprietor of OldFarm, in Lorrha, North Tipperary, Ireland. From his free range pig farm, McCaffrey’s has sold award-winning pork and bacon on-line directly to consumers, offering next-day delivery via a courier system. He recently switched to a “grow to order” business model, enabling consumers to order a full or half-pig for delivery when the animal is mature. Sammy Pepys, founder of Fat is Our Friend, a resource dedicated to questioning today's conventional wisdom in the areas of diet and health, notably the lack of progress on tackling growing rates of type-2 diabetes, obesity and related diseases. Pepys advocates low-carb diets as a way to improve health and increase energy levels. Diana Rodgers, RD, NTP of Sustainable Dish, is a "real food" nutritionist, author, and sustainability advocate who lives on a working organic farm. Rodgers is on a mission to help people regain their health by eating nutrient-dense foods. She is a staff writer for Paleo Magazine, contributes regularly to several blogs and has been published in the Los Angeles Times, The Boston Globe, Outside Magazine, and Mother Earth News. She hosts The Sustainable Dish Podcast and is a popular speaker at universities and conferences internationally on nutrition, sustainability and food policy issues. Chef Ryan Ross, a private chef and consultant based in Bow, Washington, and a 2015 winner on The Food Network’s “Chopped.” A Virginia native, Ross grew up drinking green juices in her mother’s health food store and later attended the Natural Gourmet Institute in New York City. There, she mastered health-supportive cuisine and became an accredited chef. Dr. Cate Shanahan, a board certified family physician and author of Deep Nutrition: Why Your Genes Need Traditional Food. Dr. Shanahan practiced in Hawaii, where she studied ethnobotany and her healthiest patients’ culinary habits. She has served as a nutrition consultant for the Los Angeles Lakers, and currently holds teaching appointments at three medical schools and practices in Newtown, Conn. Jumping the gun by a full year, the Healthy Fats Coalition today announced the establishment of National Beef Tallow Day, effective July 13, 2018. Timed to coincide with National French Fry Day – also observed on July 13 -- National Beef Tallow Day is a celebration of a traditional healthy animal fat, pure beef tallow shortening, that is now enjoying a resurgence within America’s food culture, in restaurants, fast food operations and home kitchens. National Beef Tallow Day will be observed in the U.S. and Canada, and will be listed in the next edition of Chase’s Calendar of Events. 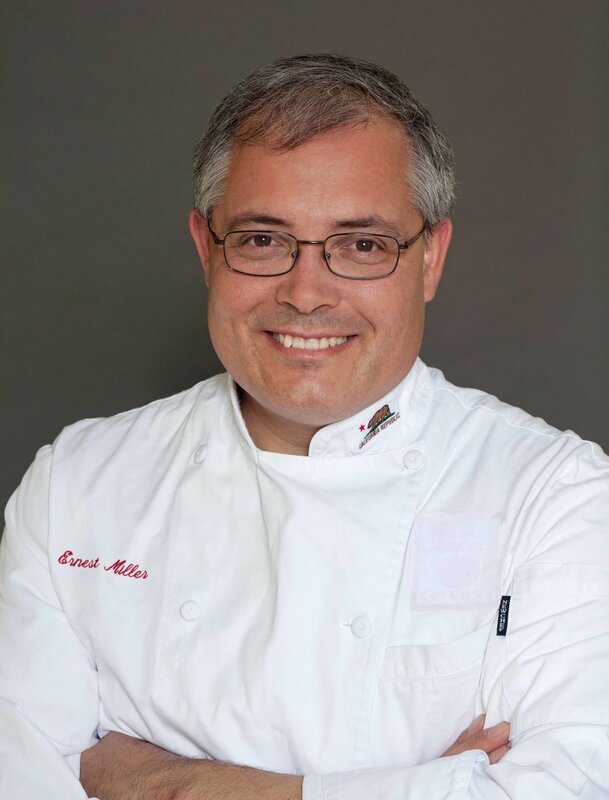 Among his first orders of business, Chef Ernie Miller offers insights on The Healthy Fats Coalition and why fat doesn’t make us fat. Q: How much fat should people have in their diets? Chef Ernie: That's going to vary person to person. The thing with all diets is, human beings are different. We're going to need different diets as we age. We're going to need different diets as our lifestyles change overall. So there's no real firm answer as to how much fat is good. Low fat diets that became very popular in the '80s and '90s have failed on so many levels. Although we can't talk about exactly how much fat, we certainly should be increasing the amount of fat that we're eating in general. Q: Why is that? Doesn't fat make us fat? Chef Ernie: That's actually quite the misnomer. You know, the words are exactly the same, fat and fat. But consumption of fat does not automatically lead to obesity. Our bodies are very different. A calorie in is not a calorie out. Depending on the hormones in our body, that will determine, for example, when a calorie comes in whether that calorie's going to be used immediately for energy, whether that calorie's going to go to short-term storage as glucose in the bloodstream, or whether that calorie will be stored as fat in our body, and again, and where in our body -- whether it's subcutaneous fat or visceral fat around our organs, which are actually two very different types of fat, and how they affect our metabolism is substantially different. So, fat doesn't necessarily make you fat. In fact, there have been many successful diets where you eat more fat and actually lose weight more efficiently. In fact, that's one of the main failures of a low-fat diet is that most people actually have a tendency to lose less weight on a low-fat diet than they do on a diet that contains more fat. Q: Certain food writers, like Michael Pollan, have said that the problem with food science is that it looks at nutrients, at individual ingredients and individual foods, and that you can't isolate this thing or that and say it's the culprit. Do you agree with that? Chef Ernie: There's a lot to be said for that point of view. Obviously, there are very important things that we can break up. You know, the entire realm of micro nutrients such as particular vitamins - we know exactly what happens if you don't get enough vitamin C. You get the disease scurvy. And we know how much vitamin C you need to get in order to prevent scurvy. So we can talk about the elements of nutrition to a certain limited extent. But, again, feeding ourselves is actually a more holistic thing. So, we’re talking more about whole foods, natural foods, real foods, how we actually go about eating and how we share meals -- food is never just food. If food were just these micro nutrients and macro nutrients, then we could all just be drinking meal replacement shakes, and that would be the end of my job. Q: There’s been some research around the concept that fat itself has a taste. Are you familiar with that? Q: If that’s accurate, how does that affect behavior? Does anybody know whether it's the taste of fat, as opposed to the specific ways that fat shows up in various foods? Chef Ernie: The science of flavor is an ongoing exploration. We don't have all the answers yet. But I talk about the science of flavor as opposed to the science of taste. Our tastes are what we get through our tongue and the taste receptors in our mouth. But, the science of flavor has to deal with all of our senses -- sight, sound, hearing, touch, taste. And then they're all combined by the brain. It's actually the most complex sensory experience we go through on a regular basis, developing the sense of flavor. Some studies indicate that, right now, we think that there are basically five tastes -- salty, sweet, sour, bitter and umami, Japanese for deliciousness that is our sense for amino acids. And there’s some talk that there is a taste bud for fat. It certainly affects our sense of texture -- things that are unctuous, that are rich, that have a certain mouth feel, as we say. But there may actually be a taste bud that recognizes the presence of fat. They’re still trying to figure it out. They also think there may be taste buds for metallic flavors, for carbonic acid and a few other things, as well. Animal fats such as lard and beef tallow contain a real sense of umami, which most vegetables do not. They bring that sense of richness, that sense of flavor you get with ingredients like parmesan cheese or sautéed mushrooms and other rich sources of umami. Q: The Healthy Fats Coalition itself is fairly new. Is the organization signing up new participants, particularly among dieticians, nutritionists and physicians? Chef Ernie: We are getting a great deal of interest in the HFC. And if you keep track of the website, you'll see that we're getting support from all over the food and nutrition world, people who are realizing that animal fats have been unfairly demonized over the last half century or so. We're definitely bringing more and more people aboard all the time. Q: As the Healthy Fats Coalition grows, how can somebody participate who's not in the food industry? Is there a role for consumers in the Healthy Fats Coalition? Chef Ernie: There is. The Healthy Fats Coalition is still developing its programming, and working on some events down the road. We're still recruiting for our Board of Directors. But consumers can definitely participate. They can start by demanding that their suppliers, whether grocery stores or restaurants, begin to incorporate more of these healthy fats in their foods. Q: What’s the relationship between the Healthy Fats Coalition and Coast Packing? Chef Ernie: Coast Packing took the initiative to start this education campaign, but it actually has a number of different organizations as a part of it. For example, the Weston A. Price Foundation -- which is well known for its non-profit status in providing nutrition education based on some of the earliest studies by the famous dentist/researcher, Dr. Weston A. Price -- helped the industry to figure out what some of the best nutritional practices among indigenous peoples were. The HFC also includes other organizations that are busy making tallow and lard, duck fat and other animal fats -- providers such as Fatworks, a Colorado-based company who we're big fans of. We have authors and chefs and restaurants. We're seeing more and more people joining the organization every day.